Dr. Armstrong has a passion for health care and is committed to providing you with the best treatment possible and a positive experience. Dr. Armstrong prides himself on giving painless injections to minimize patient discomfort. In addition to a Doctorate of Dental Surgery degree from New York University he also holds Masters in Biomedical Engineering and Physiology and he has particular interests in Biological and Implant Dentistry. Since his residency at Kings County Hospital, he has continued to take advanced training in leading technologies such as Laser Dentistry, Computer Assisted Implant placement, and Clear Aligner Orthodontics. Dr. Armstrong is a member of the American Academy of Implant Dentistry. Outside of Dentistry, family time is priority. He also enjoys jogging, bike riding and basketball. I had a very nice experience here, which I’ve found to be very rare at a dentist office in Midtown Manhattan. I was pleasantly surprised at how great they are here. I didn’t have any waiting time here, which has never happened to me before. The staff is very kind. They provide quality dental care. They make sure you’re as comfortable as possible during procedures by giving you headphones. I can’t wait to show my husband this place and recommend it to all my friends. I’m very happy with the dental service I got today. They provide quality work, and everyone there is very kind. My husband has a different dentist in the East side Lower Manhattan, but I might convince him and take him in. That’s how good they are. Dr. Armstrong and the assistant were both very kind. I had a dental emergency and when I got there I only had to wait 5 minutes. I was surprised I was able to get into the chair that fast when I hadn’t made an appointment in advance. I will be moving to soon, but I’m thinking about making them my permanent dentist and making the long drive. I have a cleaning coming up and I’m very excited for it. I had a cracked tooth so I called in and they were able to get me on the same day. I was in a lot of pain, so I think that’s why they got me in so early. Armstrong Dental Studio is very clean and they have the latest and greatest in technology in dentistry, including a massage dental chair. This team really cares about you, and they’re super friendly. They explain all treatment cost and the options for procedures thoroughly before they start working to help ensure your comfort. I can’t recommend this place enough. Unlike dental insurance, a direct dental plan with Dr. Armstrong and Doctors Network is a membership that gives you access to significant discounts on almost all of our services. Everyone can join for a low monthly fee of $29.99 and a one-time activation fee of the equal amount. The cost of membership is typically a fraction of most dental insurance premiums. Dr. Armstrong, our team, and the experts at Doctors Network share the common goal of making dental care simpler, more affordable, and more attainable for all of our patients. Please note that a direct dental plan is not insurance, and is not designed to replace your existing coverage. We offer this direct dental plan to help reduce your out-of-pocket expenses and therefore maintain your oral health. If you have questions about Doctors Network, or are ready to sign up, then contact Dr. Armstrong at Armstrong Dental Studio today, or call Doctors Network at 1-866-800-3168. General dentistry is as essential to your smile as taking care of your teeth at home. For instance, preventive exams and cleanings are necessary to evade oral health issues like tooth cavities and periodontitis. At our New York, NY dental office, Dr. Armstrong and our team offer a variety of general dentistry treatments to help you enjoy a lifetime of healthy smiles. When it comes to your oral health, prevention is vital. Therefore, the primary focus of family dental care is preventing dental diseases from developing. Besides practicing good hygiene, professional dental cleanings and exams help stop the accumulation of oral bacteria into plaque and tartar. Other procedures, such as tooth fillings, dental crowns, dental implants and implant supported prosthesis, and more, can also help you address existing issues before they worsen. At your general dentistry appointment, your dentist will thoroughly inspect your teeth and oral tissues for signs of trouble. If any are present, then he or she will consult with you about appropriate treatment options to stop the problem from worsening. However, successfully protecting your smile from further trouble will still rely on ongoing general dental care. By helping you avoid serious dental issues, preventative dentistry is essential to keeping your smile healthy and beautiful. 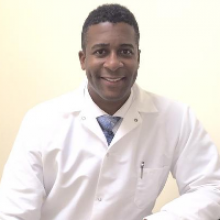 To make an appointment, call Dr. Armstrong's dental office in New York, NY today at (212) 537-6028.